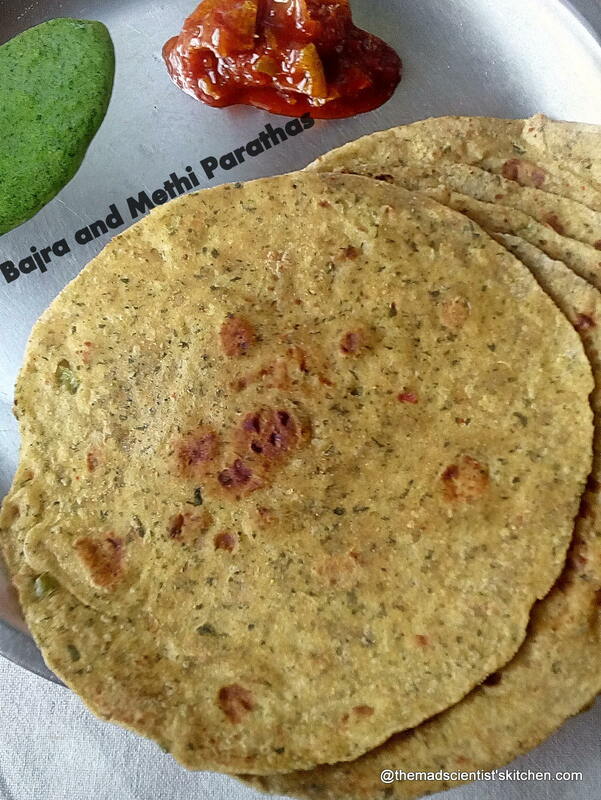 Nutritious Bajra and Methi Parathas are iron-rich with a wealth of fibre too. 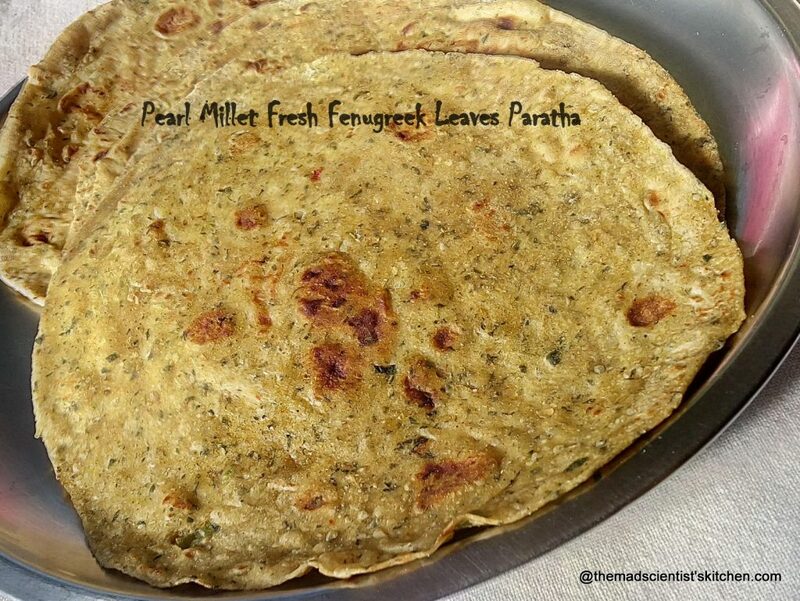 Bajra also Pearl Millet and is generally consumed during the winter so when there is an abundance of methi leaves aka fenugreek leaves try making this paratha. Though kiddo was sure I have added something “healthy” and they are not the normal methi paratha, she did polish off a few. New ingredients I have to disguise/ not mention then it gets eaten. Do you do the same?? You can read up on the health benefits of Bajra or Pearl Millet here. Mayuri has a delicious and yummy Bajra and Moong Dal ki Khichidi do try it out. Tastes yummy! One recipe that I keep hearing and I am yet to try Methi Na Dhebra that Aruna has shared! 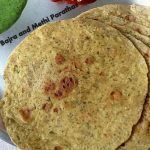 I love this Peas Bajra Roti that Priya Sateesh has made fits my requirements what about you? Priya Suresh is a great fan of whole grains so she has made this delicious Pearl Millet Dosa. Avin has shared a delicious sweet roti with Bajra Aur Gur ki Roti. I love it. Blitz in the food processor add methi leaves, garlic, ginger, chillies, haldi, red chilli powder and salt. Add to the bajra flour and the wheat flour and knead into soft dough using the curds and hot water. Make 6 equal balls and roll out each portion with a little flour into a circle. Transfer the paratha to a non-stick pan. Cook on both sides until golden brown on both sides. Serve hot we love our paratha with curds or dahi.